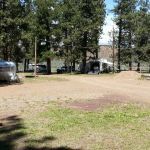 Ask fellow campers about "Rockhorse Park at Horse Ranch (formerly Horse Ranch RV Park)" and nearby attractions. Owner has lived on site since August 2012. Sites not possible to level. Showers dirty. Bathrooms filthy. Laundry room very dirty and disorganized, looks more like a storage area. No garbage disposal, must take away your own garbage. Small store available on site. Bought a 6-pack of beer and all lids rusty from previous spill. Free WiFi works close to the front office. Stayed here in a motorhome. Will not be returning. 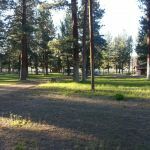 We camped at Rockhorse Park at Horse Ranch (formerly Horse Ranch RV Park) in a Motorhome. This is one unique place: new owner lives on property and runs a very small store. Sites are grass and not possible to level, no TV hook ups and no satellite connections could be made. Phone service only at land line in store. This appears to be more of a hunting camp type of operation as there is a bow and arrow range. An interesting spot for a stop over for the not faint of heart. 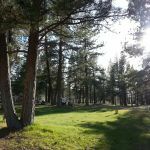 We camped at Rockhorse Park at Horse Ranch (formerly Horse Ranch RV Park) in a Motorhome. This park has a lot of character, starting with its management...Good People. The park has been in business since 1950 and is both well-established and well-kept. It's on State Highway 31, the scenic outback shortcut from I-97 to I-395 between Bend & Reno, right on the edge of the Fremont & Winema Forests, overlooking the high desert Fort Rock Valley. I stayed only for one night and enjoyed a good clean hot shower. There's a store with the usual amenities and some pleasant surprises. There is a performance stage on the premises and during the spring/summer season they host a series of music and art festivals. It's also a popular hunting base camp during deer season. We camped at Rockhorse Park at Horse Ranch (formerly Horse Ranch RV Park) in a Motorhome. 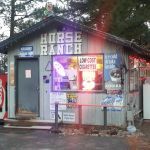 Are you affiliated with Rockhorse Park at Horse Ranch (formerly Horse Ranch RV Park) ?